We made it, y’all… The big 3-4… May 1st… The day they will no longer prevent labor has finally arrived! When I started to experience preterm labor symptoms at 28 weeks, our goal was to prolong labor until 34 weeks. It seemed so far away at the time. We were in March at 28 weeks and now May has finally arrived along with the beloved 34 week gestation mark! God, who created and formed these littles in my womb back in September, has continued to give them life over these last 8 months. Our babies are strong and healthy and we recognize that is a gift from Him that is not to be taken lightly. Our son is now weighing in over 5.5 lbs and our petite little lady is still topping off the scales at 4.5 lbs… beautiful measurements for twins at this gestation. Both babies have continued to practice their fetal breathing movements and have shown strong heart rhythms beyond what we have hoped for. We know that every day is a gift from above and each life is held in God’s hands… whether inside or outside of the womb. We trust God with that as we come closer and closer to the delivery of our little ones. We know His plan is perfect and He works all things together for our good. Thank you for the prayers for sustained life of our babies. We ask that you continue to pray for our family as we, Lord willing, enter this next stage of parenthood with babies outside of the womb! To stay up to date on all my posts about the twins, check out my link on the sidebar (to the right). You can also subscribe and have each of our posts delivered straight to your inbox – it’s free! Amazing!!!! 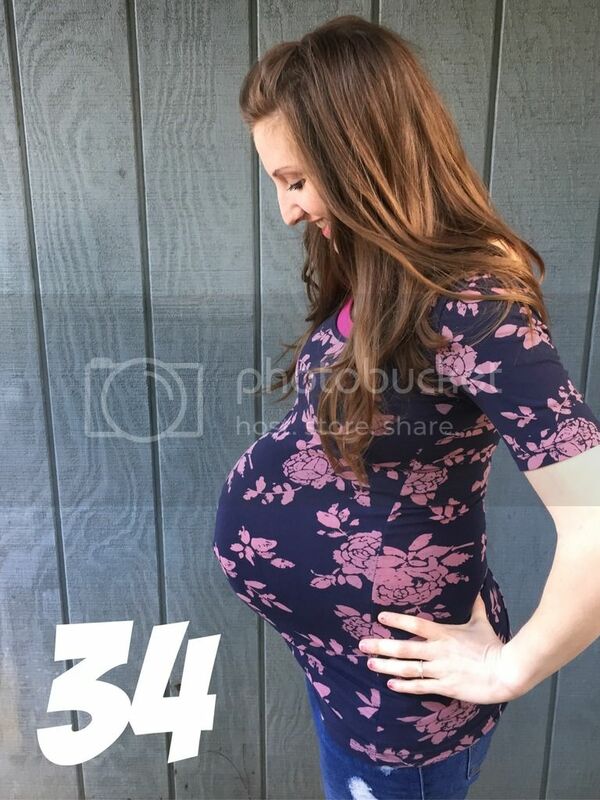 You are amazing and God is amazing and your littles are amazing…Congrads on making it to 34 weeks. You are a great Mommy! Thanks!!! Can’t wait for them to get here!